Product information "Blackmagic URSA Mini Pro 4.6K G2"
URSA Mini Pro 4.6K G2 is a next generation digital film camera with updated electronics and a high performance 4.6K HDR image sensor for shooting at up to 300 frames per second. You get a Super 35mm 4.6K sensor with 15 stops of dynamic range, built in optical ND filters, interchangeable EF lens mount that can be swapped for optional PL, B4 or F mounts, Blackmagic RAW and ProRes recording to dual CFast or dual SD cards, and an innovative USB-C expansion port for recording directly to external disks. In addition, URSA Mini Pro 4.6K G2 features a massive set of external broadcast style controls, backlit status display, foldout touchscreen monitor and more! External Power Input: 1 x 4 pin XLR port for external power or battery use. 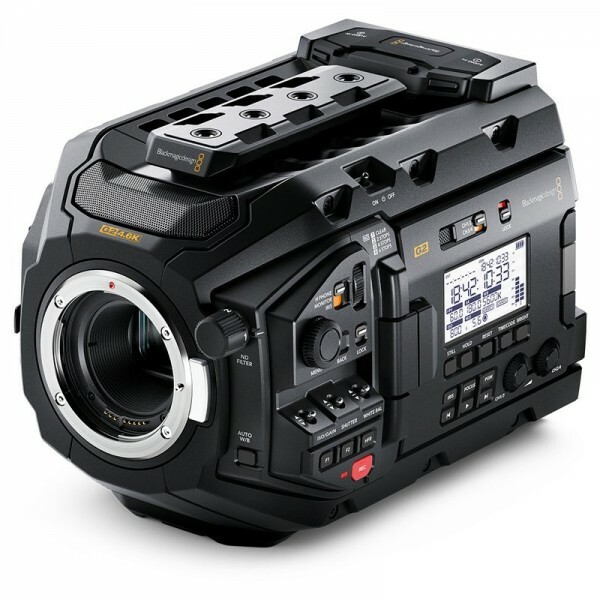 Related links to "Blackmagic URSA Mini Pro 4.6K G2"
Customer evaluation for "Blackmagic URSA Mini Pro 4.6K G2"